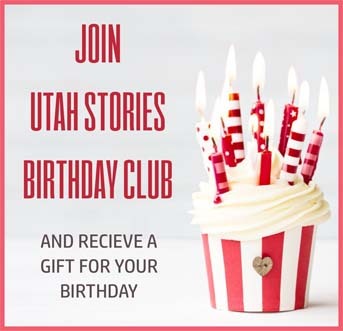 Utah’s canyon country was once viewed, early settlers and explorers, as foreboding and intimidating. It was seen as something to be avoided or tamed. Now that same landscape draws tourists and adventure enthusiasts from all over the world. In the heart of canyon country is Moab, Utah. Moab is in near proximity to two national parks, Arches and Canyonlands, Dead Horse Point State Park, the Colorado River and the La Sal Mountains. The town is a gateway for everything from river rafting, hiking, four wheel driving and biking to great dining, lodging and recreation. 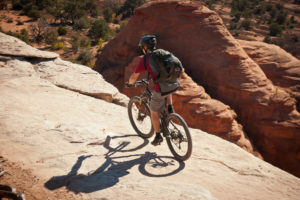 Bike enthusiasts flock to Moab every year and, according to Michele Hill of Moab Travel Council, the reason is simple, “We have a whole plethora of trails.” From “Beginning” to “Intermediate” to “Expert,” trails wind through the canyon country and desert surrounding Moab. And new trails are being added all the time. Michele says, “When people think they’ve been there and done that – no they haven’t” In 2009 alone 47 miles of new trails were added. 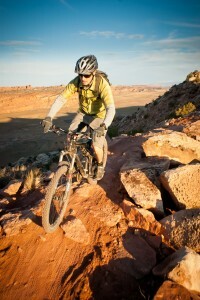 She credits the great conditions of the trails to a group called Moab Trail Mix. A volunteer group, they build and maintain the trails in and around Moab. The group is a model for organizations in other states who come to learn from them. They carefully research potential sites from archaeological and environmental standpoints before they begin grooming a trail. Once a trail is established they maintain it and make sure direction and difficulty signs remain in place. New trails in the Klondike Trail System were dedicated this year and 4 new trails at the Dead Horse Point system will be dedicated in November. Parking lots cater to most of the trail systems. From one spot many trails can be accessed. Trails are marked using the same symbols as the ski resorts; a green circle for easy, a blue square for intermediate and a black diamond for expert. A stop at the Moab Information Center on the corner of Main and Center street will give you access to trail information and maps or you can look them up ahead of time at discovermoab.com. As hard as everyone tries to keep the trails beautiful and safe some issues become problematic. According to Hill graffiti is a problem and it doesn’t matter if the trail traverses a cultural site or not. It is against the law and ruins the beauty of the area. 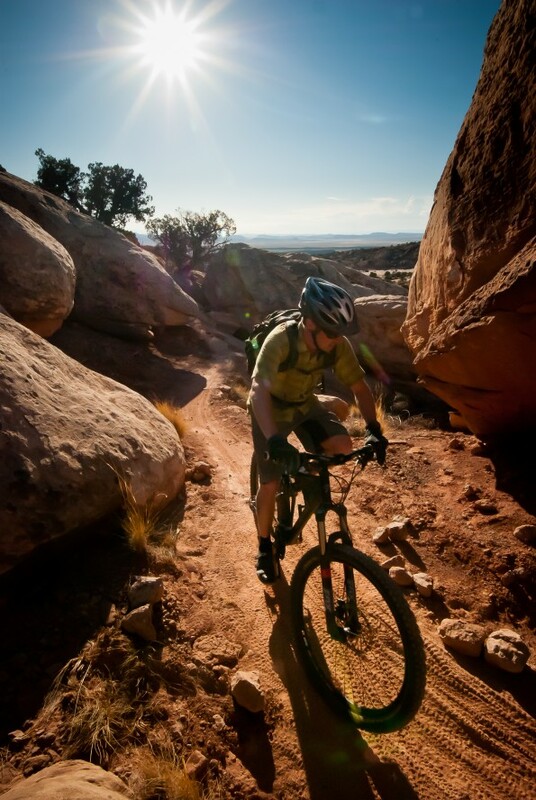 Andrew McNaught fell in love with Moab and hasn’t been able to stay away ever since. He enjoys all the trails, but right now his favorite rides are exploring desert single tracks, skinny paths winding through the landscape. 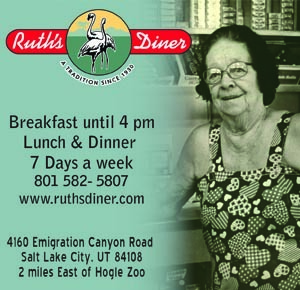 One he frequents in the North Klondike Bluffs, off of I70 and Crescent Junction, has terrain varying from desert and slick rock paddies, and sometimes crosses jeep roads. He also has advice for bike trips. The most important thing is lots of water. He likens 20 miles on the trail under the hot sun as equal to 100 miles on the road. You can get dehydrated quickly. A good helmet is a must and bike lights can help you find your way home when riding after dark. He explains that you can expect a flat tire at some point from someone in your group so bring a hand pump, a spare tube and a patch kit along with tools to fix minor problems. For those who don’t want to go off road Moab also has 31 dedicated paved trails. Most of the paved trails are in areas with little traffic and can still offer a challenge with changing terrain from flat areas to rolling hills to steep climbs. One 62 mile loop, the La Sal Mountain Loop Road, goes through redrock canyon scenery and also alpine settings in the La Sal Mountains. After a climb into the La Sals the trail descends into Castle Valley and ends at the Colorado River. Moab is a town built for visitors and lodging ranges from budget to grand. You can find chain hotels there such as Motel 6 and La Quinta, but there are also locally owned establishments such as Red Rock Lodge and the Apache Motel, where John Wayne used to stay while making movies. Canyonlands RV Resort & Campground and other campgrounds offer RV and tent sites and some have cabins to rent. If you don’t have a bike to bring along rentals are available at local businesses. Two are Chile Pepper Bike Shop and Poison Spider.